There really is a place called Muscle Beach. Now located in Venice, California, Muscle Beach dates back to the 1930s. At the original site, the Works Progress Administration (WPA) installed exercise equipment south of Santa Monica Pier, in Santa Monica. 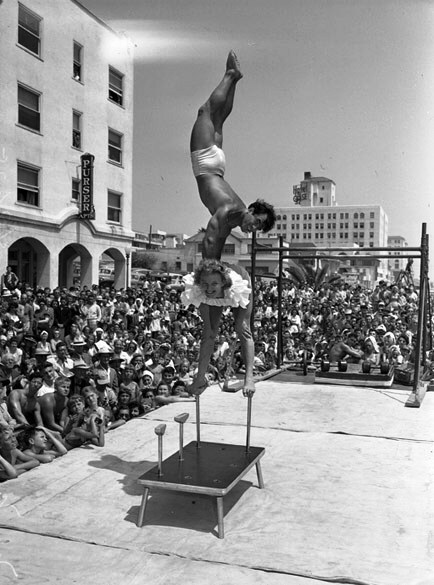 Muscle Beach became world famous for barbell, weight lifting, and body building. Acrobats, and body builders, worked out for free. With rising obesity rates, municipalities are bringing a new version of Muscle Beach to a city near you. Playgrounds for adults are popping up in Miami, San Antonio, Los Angeles, and Washington State. New York City recently opened Macombs Dam Park in the Bronx, a place where anyone can get fit for free. The city plans to bring 24 new adult playgrounds within the next 18 months. Read more about adult playgrounds in the New York Times 6/29/12 article, “Mom, Dad, This Playground’s For You”. Ohio Democrat, Congressman, Dennis Kucinich, stated that 90 percent of Americans want GMO labeling, and have a right to know if their food is genetically engineered. Kucinich is the sponsor of HR 5353, a legislation that will provide for a national food labeling law. “Monsanto has been a prime mover in the influence and corruption of the political process of how food is grown, tested, and labeled,” says Congressman Kucinich. For more information on genetically engineered food, visit Congressman Dennis Kucinich’s website. A recent report from the Robert Wood Johnson Foundation, and the Trust For America’s Health reveals an upward trend in obesity in the United States. By 2030, thirteen states could have an adult obesity rate above 60 percent, and 39 states could have obesity rates above 50 percent. 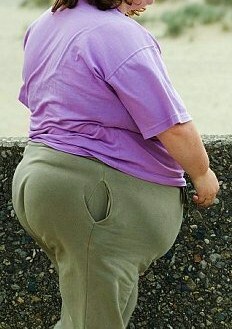 Obesity related diseases will increase, along with health care costs, as obesity rates climb. The report, F As In Fat: How Obesity Threatens America’s Future 2012, shows two futures for America’s health. A grim outlook based on current statistics, and a brighter future if measures are taken to reduce the alarming rate of obesity. More on the subject from Reuters Health News, The Facts Behind America’s Obesity Epidemic, and Fat and Getting Fatter: U.S. Obesity Rates To Soar By 2030. While obesity is a national problem, rates are highest in the south and midwest. By today’s forecast, the state of Mississippi will lead the nation in obesity rates, since it is now the fattest state in the country. A car gets you where you’re going, gives you freedom to move about, almost everyone owns one, and if they don’t, they can always rent one. America is a nation dependent on 4 wheels. With the exception of cities like Washington D.C., Philadelphia, New York, Boston, and San Francisco, public transportation in most American cities is inadequate. Automobiles are a necessity in many towns and cities. Lack of sidewalks, urban sprawl , and unreliable mass transit, make it necessary to use a car. 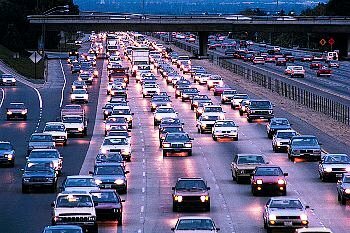 Americans have become lazy, habitual car-drivers. It’s easy to hop into the car, and take it around-the-corner errand-hopping. Car dependency is now under scrutiny. An awaking is dawning about the downside to driving. In many ways, it’s a health risk. Physical inactivity, overweight and obesity, death and injury from crashes, cardio-respiratory disease from air pollution, noise, commuter stress, and social isolation are the negatives associated with driving a car. Car dependency makes it harder to get the recommended 150 minutes weekly of exercise. Obesity is a risk factor for heart disease, diabetes, and some forms of cancer. For more about the subject of cars and public health, read “Are Cars The New Tobacco?” from The Journal of Public Health, and “Car-Driven Society Poses Health Risk To America’s Health,” from Reuters Health News. This is an inspiring story of a man whose cancer had progressed beyond hope from traditional medical therapies. Alan Taylor, a 78 year-old Britain was determined to stay positive, and find his own cancer cure. He was at the end of the line. Chemotherapy or operative surgery were no longer options. 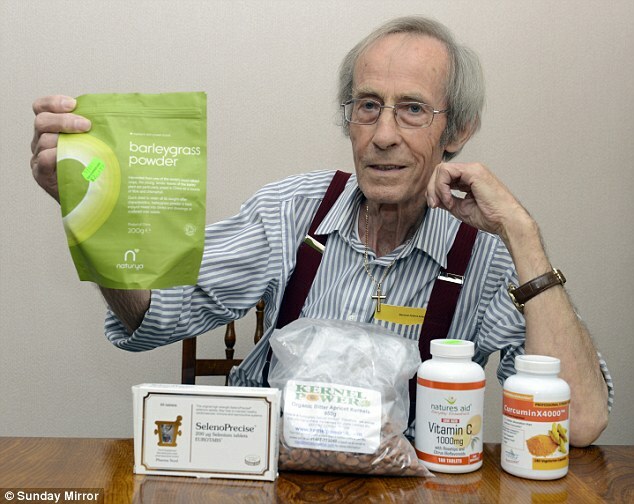 The spunky senior searched the internet for alternative methods to cleanse his body of cancer. He made changes in his diet, dropping meat and diary. He says he owes his life to eating raw fruits and vegetables, and drinking barley grass juice. Click the link to read the entire story from the September 16th issue of the Daily Mail.